This entry was posted on August 23, 2012 by Cher. It was filed under Authentic, Beauty, D90, Nature, Photooftheday and was tagged with authentic, Beauty, bud, Cacti, cactus, D90, Nature, photography, photooftheday. I labeled the picture “Raw Beauty” because when I first looked at the foreground of the image it is rough and raw looking. It reminds me of when a human first wake’s up in the morning. We are raw and in our natural state of being. That is the best way I can explain. I am glad you love it! Thanks for your comment and question! 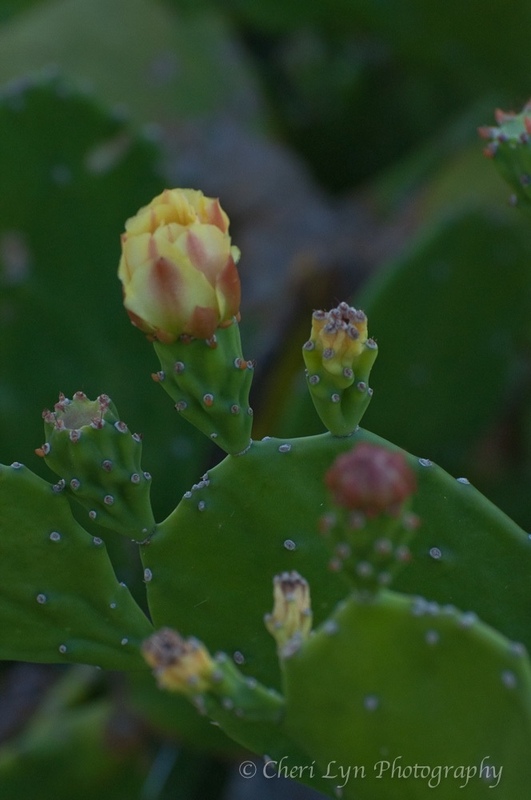 We have lots of these cactus around our property here in southern Spain. At this time of year, many of them are looking like they need some water after a very hot summer. The flowers are gorgeous when they come out and the fruits (known as “chumbos”, here) are sold on the local streetmarkets. Beautiful photos, Cher.